To date, Lonnie “PopTart” Green stands as San Francisco’s Strutting lead man. 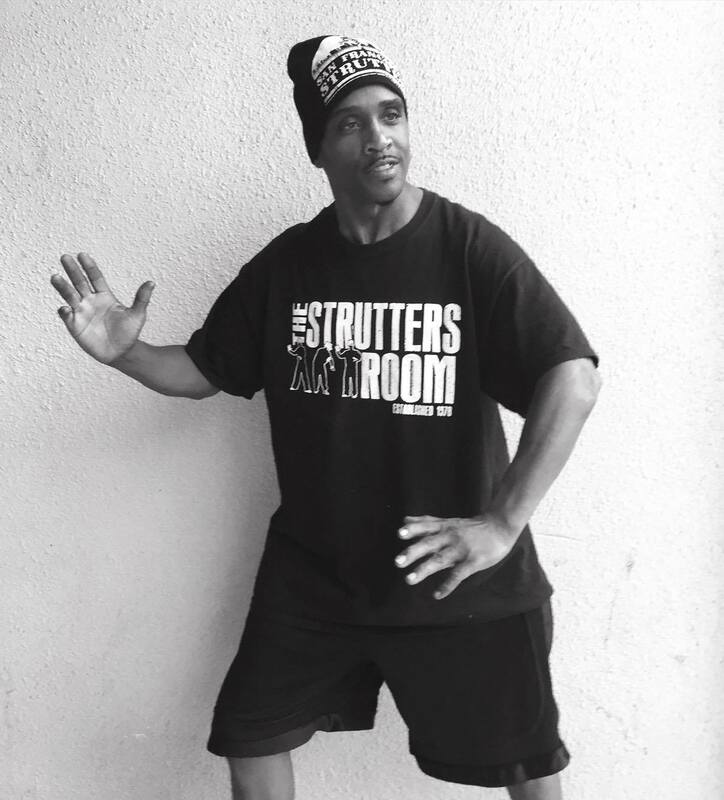 Lonnie “PopTart” Green is considered one of the most popular African-American dance teacher’s in his community, certified through The Wajumbe African-American Arts and Culture Center. His first teacher was his cousin, 3D KID, of the 1975 San Francisco Strutting group BAM BAM Inc. The year 1977 would be his official starting date as a “Strutter” and his first talent show was in the 5th grade in San Francisco CA in 1978. The city of San Francisco, California USA has a rich history of having a high concentration of dance groups that performed “Strutting-Style” dance routines for both individuals and groups. Known for his extensive experience in performing at live events, notable sold out showcases include: Inauguration Day in San Francisco, California USA (January 8, 1996), featuring San Francisco’s own musician, Carlos Santana, Oakland A’s vs L.A. Dodger’s baseball game; University of Pacific vs UCLA Football Game in 1979, & Sugar Hill Gang concert (Bill Graham auditorium). Lonnie “PopTart” Green’s stage experience extends from blazing the stage with Vanity of Prince’s female Soul/Pop music group Vanity 6, to Hip-Hop’s one and only teacher KRS-ONE. He has experience as a Dancer/Choreographer in over 23 music videos; to name a few: Digital Underground, Rappin 4 Tay, Oaktown 357 and MC Hammer.